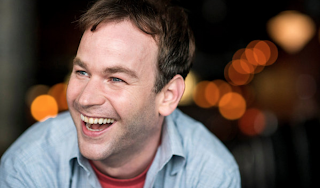 We just have our Patrick and it's Mike Birbiglia! Author John Green has revealed the news via his Twitter account. Birbiglia will join Shailene Woodley, Ansel Elgort, Sam Trammell, Nat Wolff, and Laura Dern in the movie. Patrick is the leader of the support group for cancer patients including Hazel, Gus, and Isaac.